Why to compromise with amenities like club, swimming pool, parks, yoga center and the compact size of the apartment under Huda affordable housing scheme..
Do you feel that current Huda affordable projects are lacking of luxury amenities like Club, Car park and bigger size? Don’t worry ocean seven buildtech is coming up with its first residential project in gurgaon under Huda affordable policy where allottee can now enjoy luxury amenities like car parking, club, swimming pool, yoga center etc. along with the maximum size of apartment under this policy i.e. 2 BHK with Study room (approx. 750 sqft carpet area) at unmatched location of gurgaon in sector 109 on dwarka expressway. 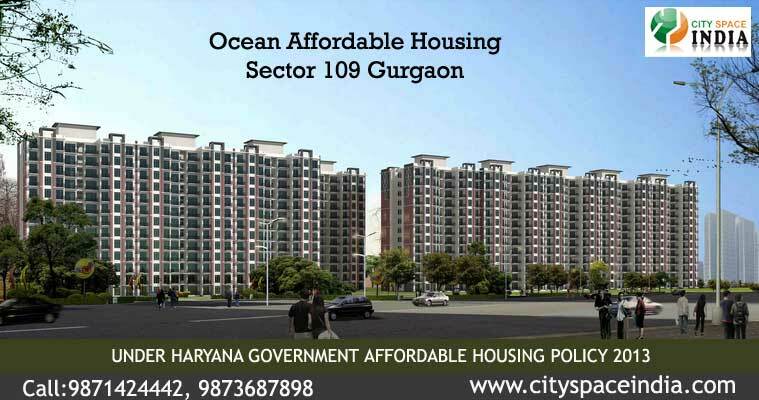 Gurgaon has seen more then 18 affordable housing projects but all these projects are lacking of lots of amenities which shows that these apartment are not made for those who want luxury which gurgaon is known for in the subsidies price tag. OSB group take the initiative of making the dream come true by giving all these amenities under this price tag. The location of this project is also very prominent. Sector 109 gurgaon is on dwarka expressway which is hardly 2 km from Delhi border and share the vicinity of projects like Shobha international city, ATS kacoon, Chintels and the commercial belt of 300 meter which is being developed by renowned builders like Indiabulls, CHD, Concient, NEO, Ghambir housing which make this project a once in a life time opportunity for investment. Looks like you are now close to deciding to buy an apartment in Ocean seven Affordable Housing 9871424442 here are the steps involved in purchasing with the help of PropTiger. 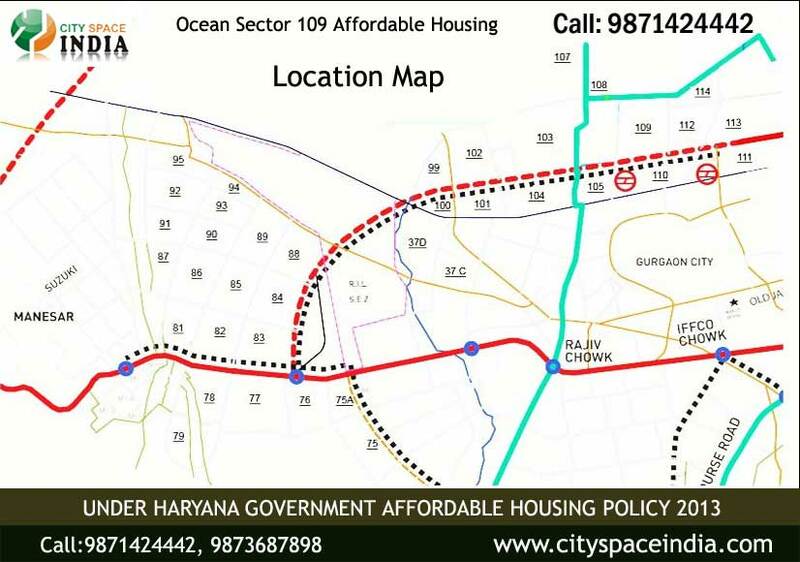 Thanks for showing your interest in Ocean seven Affordable Housing 9871424442, Gurgaon . Please register in the form below and our Sales Team will contact you shortly.